I thought it would be cool to have a thread where we post pics of cool merch we see at the parks. 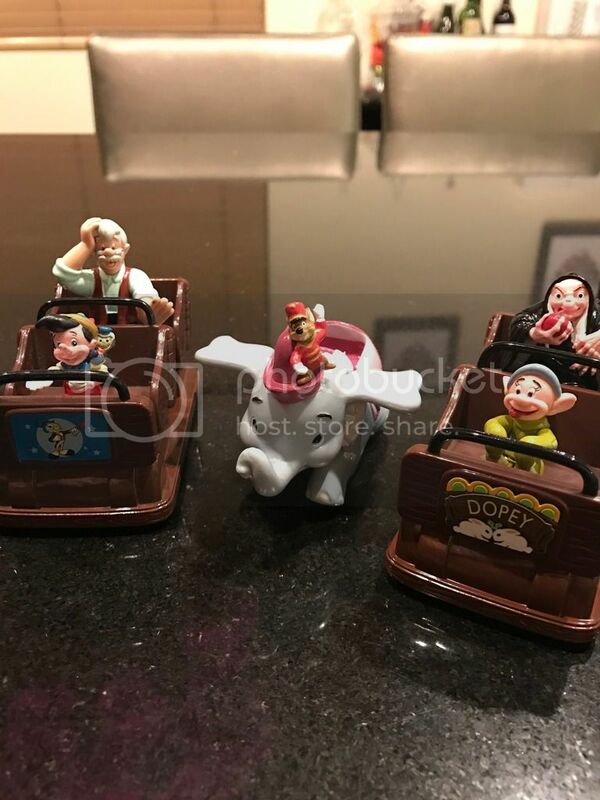 Personally, I'm kind of picky when it comes to DL Merchandise. I don't like dates plastered all over things or holiday specific stuff. I'm typically drawn to the vintage looking stuff, old school posters, good books and attraction specific items . But that's just me. Everyone feel free to post stuff that you think is cool. A lot of us are at the parks often, but we re on this site pretty much everyday. So I figure we could use this thread to alert one another before the ebay scalpers buy everything up (No offense to any resident scalpers). We could also use this thread to share some of our favorite things we've acquired over the years. This is one of the coolest things I' ve seen at the parks in a while. 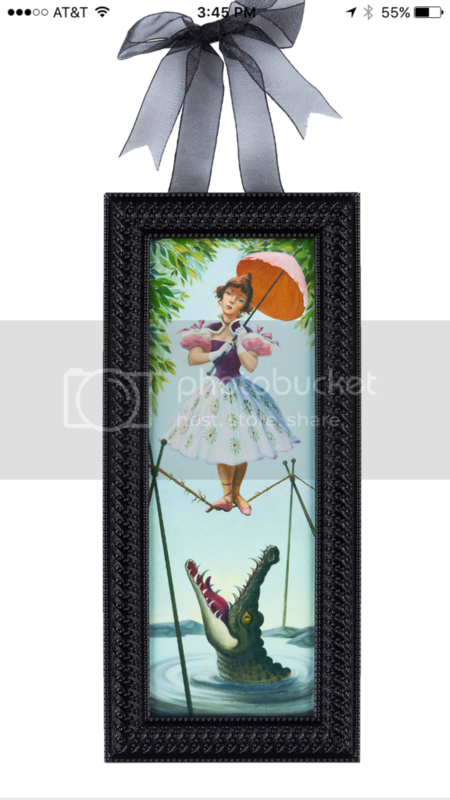 Mini Haunted Mansion stretching room portrait and not a bad price point at about $25 if you have an AP. It's super detailed and the image even has that canvas texture. All of the portraits were available except this one so I bought the lady on the head stone at Disneyana and bought this one online. A good idea for a thread...! 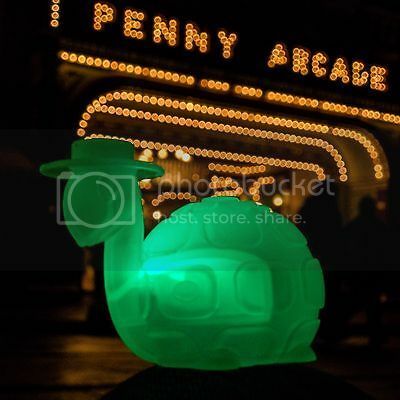 The most recent 'cool item' I saw recently is the light up, color changing 'Main Street Electrical Parade' turtle figurine bottle toppers being sold at Disneyland Park. They make a fun little figure all on their own....no need to actually use as a drink capper. I also tend to prefer Attraction or Show specific merch, tastefully designed 'retro' merch, and unusual or interesting figures. I also have a soft spot for unusual or particularly well made plush characters. Park specific merch is also more appealing to me then the generic stuff that is made to sell at every Disney Theme Park. I too have no interest in the yearly run of 'dated year' merchandise that floods the shops and you see just about everywhere on property. The generic stuff with a "2016' or the like plastered across it I am talking about, not the more appealing 'dated collectibles' type of merch ( anniversary merch, etc. ). As far as Holiday merch goes, I do enjoy the Halloween related things and usually give them a look over. And pins....yes...I like to pick up a few interesting Trading Pins now and then. You do not want to know how many I own...it is scary when even I am reminded of it! .A good idea for a thread...! Sweet! That sounds like something I'd buy. Do you have a pic? They are designed to fit on top of a water / soda bottle cap...with a straw hole through the turtles' shell. These change color, similar to 'glow cubes' and sell for $7 if I am remembering correctly. Disneyland's Plaza Inn and various kiosks on Main Street have them up for grabs. I like this thread! I am super picky about Disney collectibles too, and I also hate the date merchandise. I guess it must sell, but sheesh it's horrible. One of my favorite things I got for my last birthday is a glass ceramic Monstro figure. View attachment 185996 I like this thread! 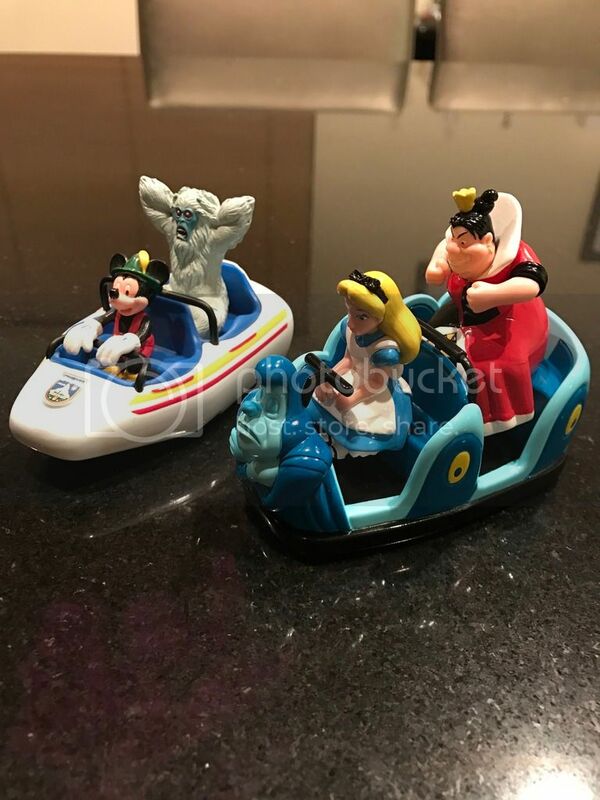 I am super picky about Disney collectibles too, and I also hate the date merchandise. I guess it must sell, but sheesh it's horrible. One of my favorite things I got for my last birthday is a glass ceramic Monstro figure. Cool thanks for sharing! I will most likely be buying this. Maybe this thread was a bad idea. I'm gunna go broke. Where do you get the Haunted Mansion portraits? Disneyana and Off the page have em but they re sold out of the tightrope walker. They seem kind of small and I have nowhere to...hang them. What I did was I bought the napkins (really, who would use these as napkins?) and attached them to an IKEA lamp as decoration. They look great! They re a nice size. About 13.5 inches x 4.5 inches. They re pretty good quality too. Haha cool idea. Where'd you get napkins? How much without an AP? The napkins were available last year. They might still have them. Where and when did you get those napkins? I need those. This Marry Poppins mug is my favorite merch I've bought recently. It's practical and whimsical and I love the shape and color. I hope they still have them when I go back in February because I want at least one more. I love that handle on that mug. These might be my favorite collectables. 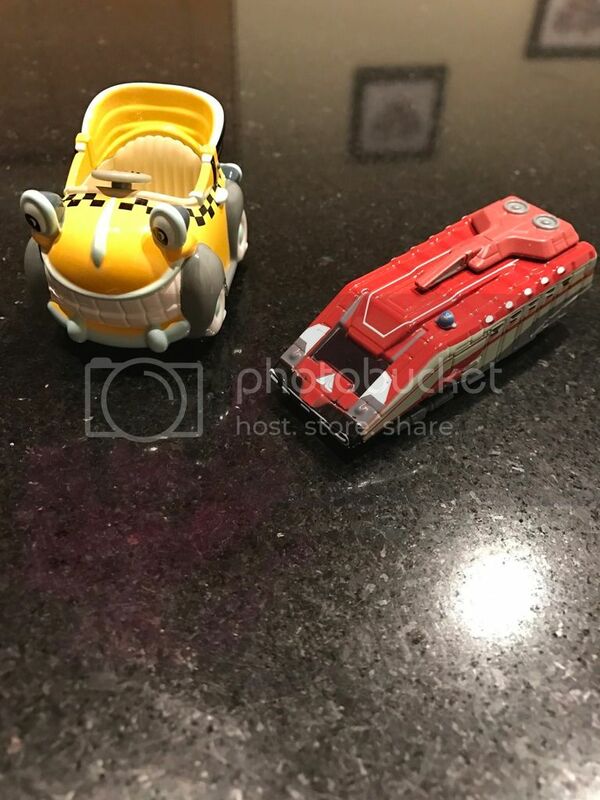 Apparently they were sold at the parks around the 50th anniversary (except for Lenny and the Star Speeder). I spotted one on ebay and started collecting them. 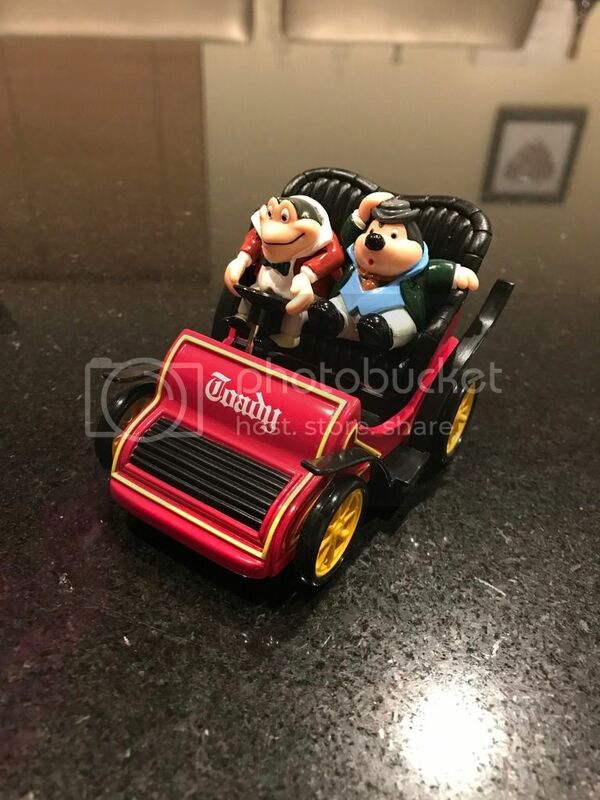 I like to stick to the Disneyland specific ride vehicles.They re actually kind of heavy too and made of good material (not plastic). Pins are frontier that I am scared to really venture. It seems like there would be no end. I have a few cool Disneyland specific ones but that's it. 3-4 years back my wife found these Haunted Mansion wine stoppers. We bought a bunch and have been using them for gifts (along with a a nice bottle of red) when we get invited to parties.